In this increasingly globalised world, every company is able to expand their business and to reach foreign markets and customers. For a successful international promotion of your products and services, an accurate and well-targeted translation of the marketing message is essential. Wolfestone has a track record helping clients win contracts abroad. We use a network of specialist translators who have at least 4 years’ experience working on marketing and PR materials in every sector, from consumer to travel, manufacturing, education and media. Quality marketing and PR translations ensures consistency of the company’s corporate message, brand integrity and return on investment. Culturally and sector specifically experienced translators adapt your marketing material to the target audience and their demands. This not only makes the message stick in a new market, but also helps avoid the use of clichés or idioms which might not work for your audience. For some marketing messages, literal translation is not enough. In these cases a process called transcreation is more suitable. Transcreation involves re-creating the message using in-country creative writers with knowledge of the industry and target audience. Wolfestone’s customer service team members can advise you on the best route based on your message and business objectives. Wolfestone can also manage the in-country review process for you. 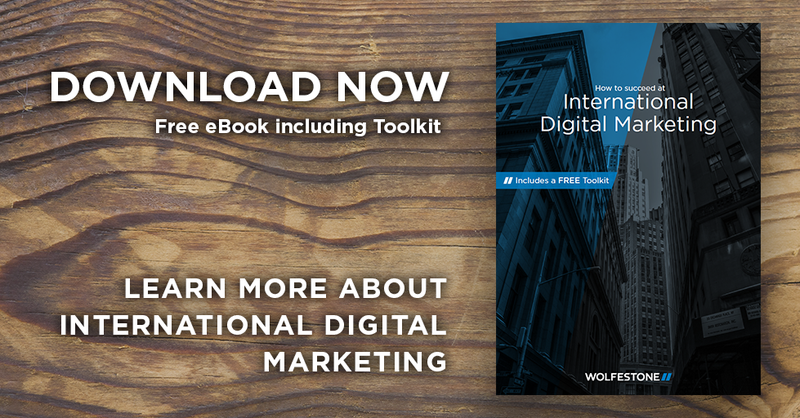 Wolfestone can turn any marketing work you have into usable, relevant and culturally aware marketing materials in any language. I have had the pleasure of working with Wolfestone for a couple of years now and they’re not only brilliant with translating into the languages we have required, but have also been fantastic at communicating, meeting team requirements and more importantly meeting the tight deadlines we sometimes have! They make my job a lot easier and I would recommend their services on my experience of them thus far – thank you Olly and the team! And if you’re an agency and have an engaged client base, interested in translation, you could be maximising your revenue by benefiting from our white label translation service. White label translation involves us managing the translation project, but you dealing with the client as if the service was managed by you. That way we are basically invisible in the process, but you benefit from our expertise, knowledge and reliability.